Remember to go see my exhibit at The Eclectic Eye, 242 South Cooper, sooner rather than later. The terries have been flying off the shelves (not FLYING but you get the picture) so don’t miss this rare opportunity to shop for your own Green Mansion. I delivered some more lovelies this week to wait for their new homes, maybe with you! 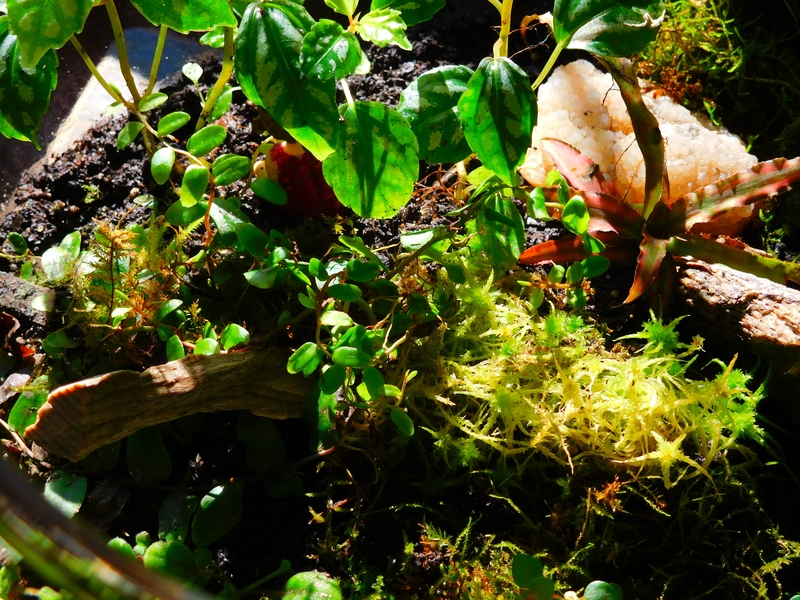 This gorgeous terry is named Nouveau Verde, and contains an assortment of miniature begonias, Mosses, tillandsia, neoregelia, crystals, petrified wood, and more. The photo below was taken about nine months ago. Go see it now, the begonias are spectacular! Robbie liked the one below so much she decided to give it a permanent home at The Eclectic Eye, hooray! I didn’t tell her, but I had named it Eclectic because of the curious assortment of elements in it. The photo below was taken about nine months ago, go see how much it’s grown. And if you are in the Crosstown Concourse, go see my piece titled Mermaids Cove in the Homeward Bound exhibit at Crosstown Arts through January 27. As always, feel free to call me at 901-828-3685 with any questions or send me message. Peace and love to us all.